When he sang the words “Mr. Wacky is gone but his dancing lives on…”, O’Neil Edwards could never have known that his end would be equally tragic. He was named O’Neil Jason Charles Edwards at birth, an event that took place on May 8, 1974. One of ten siblings, O’Neil’s five sisters and four brothers knew that music would be the road he would take from early in their lives. He was destined to be in the music business, following in the footsteps of his father, well-known Jamaican recording artiste and producer Rupee Edwards. The performance and production of music was a part of O’Neil’s early life as he watched his father, heard the sounds, felt the excitement of the music business and decided this was what he wanted to do. Even as he was making a decent living as an entrepreneur, the music business called out to O’Neil. Confident of his ability and determined to succeed, he joined with his neighbourhood friends, Jerome "Craig "Jackson, Kevin Blaire, Robert Manning and Leonardo Grant to form a multi-talented group of singers. It was 1999, and the new century was to bring a round of success for the brand new group Voicemail. One hit after the other, with popularity rising, Voicemail became highly sought after on the dancehall scene. The group became a trio - Craig, Kevin and O’Neil. Although O’Neil’s deep and distinct baritone was sure to provoke loud screams, the trio was known for their seamlessly interlaced voices. Their mantra was one sound, one distinctive look, a group that moved in unison and sang in harmony. This complete image, professional demeanour and focused outlook did not happen by accident. The standards were maintained through O’Neil’s management style. It was he who administered the group’s business. While the other’s trained, O’Neil toiled. He made the deals and confirmed the bookings, planned the tours, coordinated the recordings and thought through the promotions. He was the foundation upon which Voicemail was built. The life of a performing artiste is a challenging one. No one knows this more than O’Neil’s life partner, Ingrid Smalling. With every late night, early morning and long, gruelling hours, Ingrid provided the strength and support that O’Neil needed to make it through the labyrinth that the music industry can be. Their daughter, Nehalis Nastacia Edwards provided her father with a month of joy, born five weeks before he passed. ‘Fun and gregarious’, a man of style, that is how O’Neil Edwards’ friends and neighbours from the Duhaney Park community describe him. Always “Ready to Party”, always ready to dance. O’Neil Jason Charles Edwards left Jamaica a message, one last voicemail. The circumstances of his death and the time at which he passed are both significant. 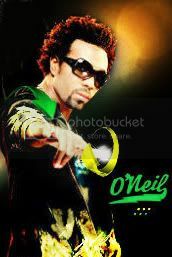 O’Neil’s last voicemail serves to point Jamaica and the Jamaican recording industry in a new direction. A direction that seeks to help to build a nation, take a nation ‘Higher’. His wish would be that everyone in the fraternity would hold up their hands higher, clasp them together in his memory, and move as one to help to heal nation in distress. Out and Bad…Rest in Peace O’Neil Edwards.